A couple of weeks ago, my 5 year-old daughter wanted to take an enrichment class on world cooking. I convinced her to let me give her MY take on cooking from different parts of the world. 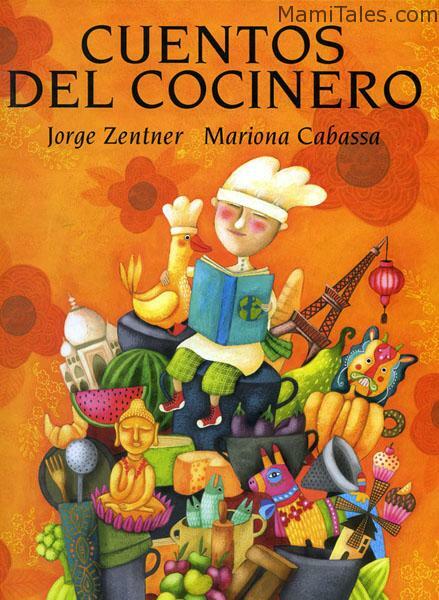 So, aided by a fabulous book called “Cuentos del cocinero” (The cook’s stories) about stories and recipes around the world, we started cooking together. The stories in the book are great, but the recipes unfortunately are not very specific. They have great ideas, though… And with a quick search on google or epicurious, you can find great recipes in full detail. 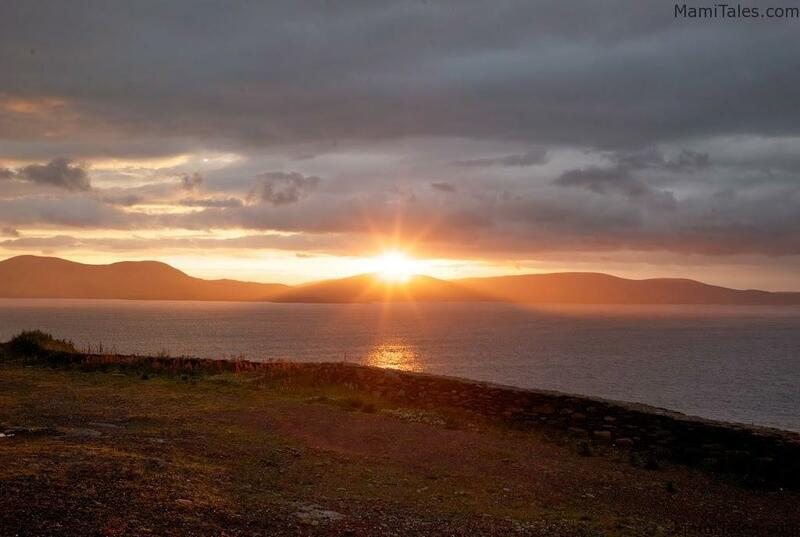 The recipe I chose to make came from Ireland. About 3 and a half years ago we went there on a family trip. In a run-down hotel in the middle of nowhere, we stopped to have lunch on our way from Waterville to Dublin. The lunch was nothing special, but we had the most spectacular blueberry cream scones I’d ever tasted. On our way back home I started looking for cream scone recipes until I finally came across one who would fit the bill. And the best part was that it is INCREDIBLY EASY to put together. Got flour, heavy cream and 30 minutes? 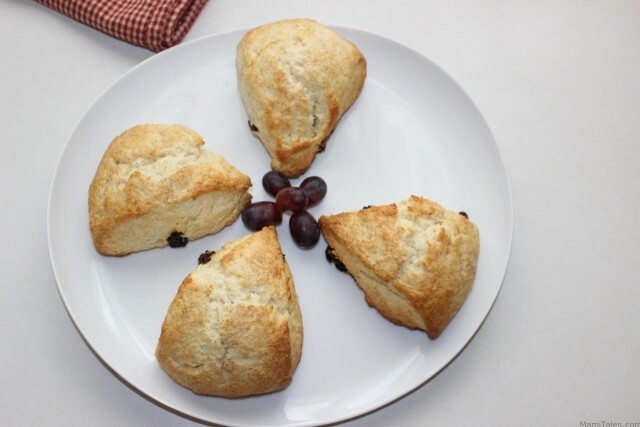 You can whip these scones in a flash and wow everyone 🙂 They are so easy that my little one and her friend did these on their own, with just help from me cutting the scones and placing them in the oven. Soft and fluffy cream scones that you can put together in a flash! Preheat the oven to 425°F. Mix the flour, baking powder, sugar and salt together in a large bowl. Add the blueberries and stir briefly to combine. Add the heavy cream to the dry ingredients (you can make a well in the middle of them to pour the cream into), then combine with a fork or wooden spoon until all the dry ingredients have been moistened. Pull together into a ball of dough by kneading against the sides of the bowl until it sticks together and the sides of the bowl are relatively clean. Try to handle the dough as little as possible as it will get stiff otherwise. Turn the dough out onto a lightly floured surface and pat it out into an 8" round, about 2" tall. Cut into either 4 or 6 wedges, depending on how big you want the finished scones to be -- do this as if you were slicing a pizza. Place the wedges directly onto a baking sheet about 1.5" apart, and brush the tops with 1-2 tsps of heavy cream then sprinkle lightly with sugar or a mixture of cinnamon and sugar. Bake for 12-15 minutes, until the tops are nicely browned. Remove from oven and allow to cool on a wire rack. If you place the scones too close together, they might melt into each other while cooking. Make sure the dough is not too dry, or the scones will not rise and be soft. The heavy cream is probably the essential ingredient. Milk won’t be a good substitute! Good idea to have a blog! You definitely need the fat content of the heavy cream. Otherwise you need to substitute for milk, butter AND eggs 🙂 Cream makes it a lot easier. If you add a little more cream to the recipe the dough is a little stickier but the scones come out even softer… just separate them in the baking sheet at least an inch apart or they grow into each other! I remember you talking about this recipe. Thanks for sharing it! I’ll have to remember to give it a try! I think you’ll love it. Double up the amounts and you’ll have 8-10 scones. I actually halved the recipe for little I, so it was easier to handle for her. They are so good! I’ll be keeping cream in the house from now on to whip them up when I need something quick and delicious! OK second time good too, but don’t use frozen blueberries, or add the blueberries on top, at the end. I have blue scones with white spots now. I’m so glad you liked the recipe 🙂 It is definitely my daughter’s favorite thing, and this particular recipe is so easy she can make them herself (she’s almost 6). Hope you try it and let me know how they come out!